Squaring the circle was a problem that greatly exercised medieval minds. 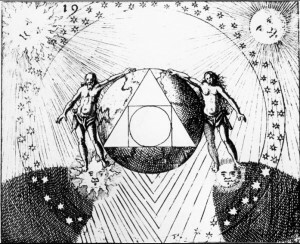 It is a symbol of the opus alchymicum, since it breaks down the original chaotic unity into the four elements and then combines them again in a higher unity. 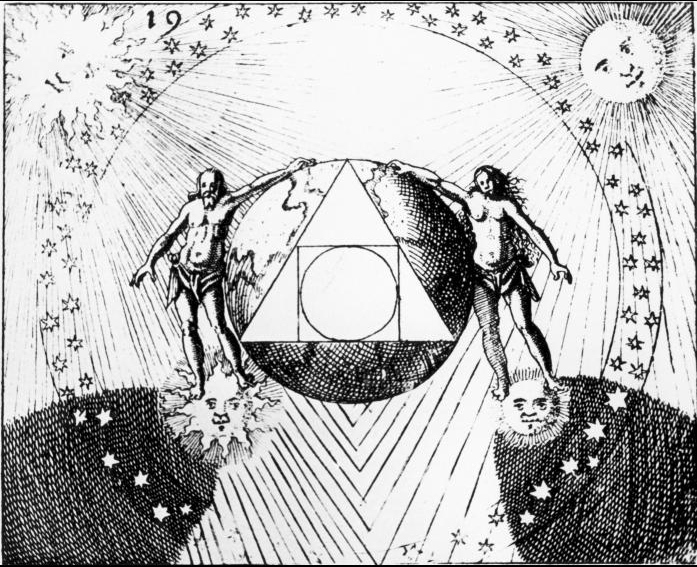 Unity is represented by a circle and the four elements by a square. The production of one from four is the result of a process of distillation and sublimation which takes the so-called “circular” form: the distillate is subjected to sundry distillations so that the “soul” or “spirit” shall be extracted in its purest state. The product is generally called the “quintessence,” though this is by no means the only name for the ever-hoped-for and never-to-be-discovered “One.” It has, as the alchemists say, a “thousand names,” like the prima materia.